If you are thinking of upgrading your laptop storage capacity and looking for a good, reliable and high capacity laptop hard disk then you are at the perfectly right place. If you ever run of disk space or feeling that the you need more space on your laptop then you have to upgrade your laptop hard disk. You may also buy an external hard drive for your data storage needs but for storing your big programs and applications you will need internal hard disk only. Here I am also going to discuss on how you can upgrade the storage capacity of your laptop and also list down the best hard drives for laptop. Here are the two ways to increase your laptop’s storage capacity. Replacing Old Hard disk – The first is the traditional and the easiest way which is to remove your older hard disk and put in the new one with higher storage capacity. In this case you either have to sell your old hard disk or you can use it with a USB hard disk casing and make it an external hard disk. Using OBHD Caddy – This is the more complicated method but a useful way to upgrade your laptop’s storage capacity. In this method you can increase your laptop storage capacity by adding a second hard disk to your laptop using OBHD caddy. Here the second hard drive goes in the place of optical drive / DVD / CD drive using the OBHD Caddy. This is advantageous you can increase the storage capacity to greater level without removing the older hard drive and it also proves cost effective too as you can buy new hard disk according to your additional requirements. Also you can increase your laptop’s storage capacity to a greater extent by using a high capacity hard disk in OBHD caddy. Here are the best laptop hard drives having capacities of 1TB and 2TB. All these below mentioned hard drives are 2.5 inch hard drives. 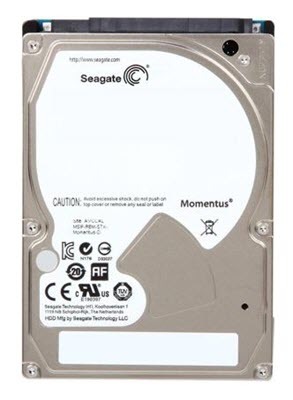 These hard drives are compatible with almost all modern day laptops having SATA port/connector in the motherboard . A well balanced laptop hard drive from Western Digital. WD Blue series of hard drives from Western Digital combines both performance and reliability at an affordable price. 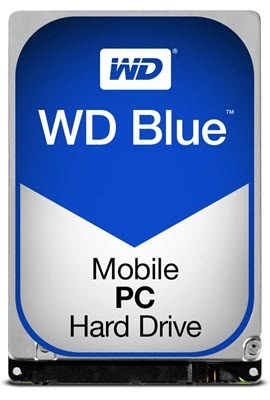 WB Blue 1TB Mobile PC Hard Disk is a 5400 rpm hard drive and has maximum data transfer rate of about 144 MB/s. This laptop hard disk is not noisy and it also does not heat up that much. The performance of this laptop hard drive is quite good and is compatible with almost all laptops. So if you want a reliable and good performing hard drive from Western Digital then this one will really impress you. A durable and affordable laptop hard drive from Seagate. 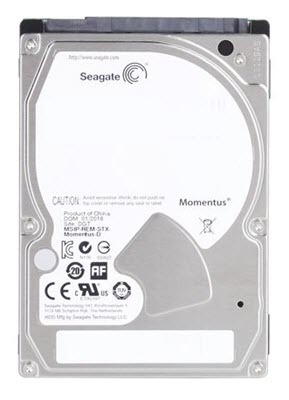 Seagate Momentus series is known for its reliability and low cost hard disks. This laptop hard disk is available in 1TB and 2TB capacities with models numbers as STBD1000100 and STBD2000102 respectively. The hard disk is quite quiet and it comes with rotational speed of 5400 rpm. It is also very energy efficient as it requires very low power for its operation. The heat generation is also very low due to its lower power consumption. The performance of this hard drive is good in normal use. STBD1000100 (1TB) comes with cache of 8MB and STBD2000102 (2TB) comes with 32MB cache. Both these hard drives have rotational speed of 5400rpm. So if you want a budget and reliable hard drive for your laptop then keep this one in your mind. 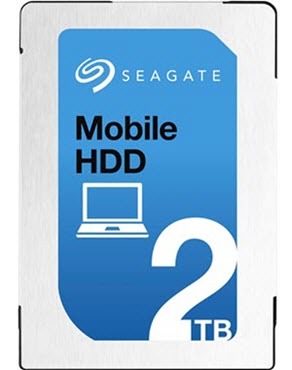 A reliable 2TB hard disk for laptops that is developed jointly by both Samsung and Seagate. It combines the performance of Seagate and reliability of Samsung. This mobile SATA drive is one of the most reliable hard drives that you can get for your laptop. The performance is also good along with reliability and durability. This 5400 rpm hard disk comes with 32MB cache. The hard drive is super silent and does not heat up that much. This laptop drive is energy efficient and is compatible with almost all laptops and PS4. So if you are looking for a silent high capacity hard drive for laptop that delivers reasonably good performance then you must buy this one. If you want a high performance hard disk for your laptop then Seagate ST2000LM007 is the one that you should buy. This 2TB hard drive from Seagate comes with whopping 128MB cache and rotational speed of 5400 rpm. It is not as fast as SSD but faster than most of the mechanical hard drives for laptops. The drive runs cool and does not consume much power. You can use this high capacity hard drive in your laptop or PS4. I have listed down the best laptop hard drives that can be used directly or using OBHD caddy in your laptop. If you have any queries regarding these laptop hard disks then you can ask me by leaving a comment below.